SQL Insight is pleased to have Steve Schneider as Lead Consultant. Steve is a Microsoft Certified IT professional SQL Server Database Administrator and Systems Engineer. 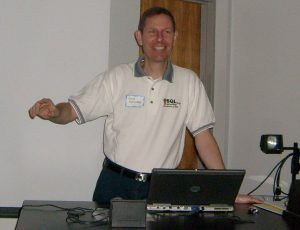 He has over 20 years experience in the Information Technology field with a primary focus in SQL Server administration. He has focused experience in installation, configuration, performance tuning disaster recovery and troubleshooting. He has handled single, large databases and multiple smaller databases spread out over multiple servers. Steve has an indepth knowledge of SQL, but he also brings additional insight from the business world. Having worked for a small 10 person company, medium sized businesses and large corporations; he has also worked as a consultant to large national businesses. This array of experience gives him exceptional ability to provide for the needs of your business. Whether you’re an established business, local or national, or a brand new business; Steve and his staff can help. Take at look at Steve’s Skill Set and educational background below.